Leave a comment on THIS post by 6 p.m. CT Tuesday, October 6, 2015 to be entered in the DRAWING for a copy of the book below. If you mention in your comment that you’re a follower (see in the left sidebar “Join This Site” and “Follow by Email”), I'll add your name a second time in the drawing. U.S. mailing address required to receive a paper book. Read book giveaway details at Disclaimers. To provide you security, please leave your email address like this: johnATyahooDOTcom. Winner announced in next Thursday's blog post. Cindy K. Sproles is an author and speaker. Her devotions are published in newspapers across the country. 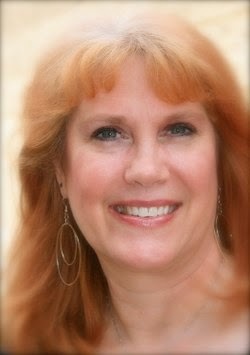 Cindy is a teacher at Christian writers conferences and women’s conferences nationwide. She spent her formative years showing off her beloved Appalachian Mountain to others, and she and her family still live in the mountains of East Tennessee. Visit Cindy at her website. Mercy Roller knows her name is a lie. Married and widowed at thirteen, a mother and childless at fifteen, Mercy has spent her life under the authority of her abusive father, the Pastor. The Pastor rules both her family and the community around Wadalow Mountain, Tennessee. Not a single person seems capable of standing up to the man who calls his sinful actions “righteous,” that is, until Mercy takes matters into her own hands. Kicked out of her home by her grieving mother, Mercy finds her way to the other side of the mountain where she slowly learns that true righteousness has nothing evil about it—and that there might be room for her own stained and shattered soul to find shelter, and even love. An unforgettable story, Mercy’s Rain transports readers to nineteenth-century Appalachia, revealing the thorny path from bitterness to forgiveness. 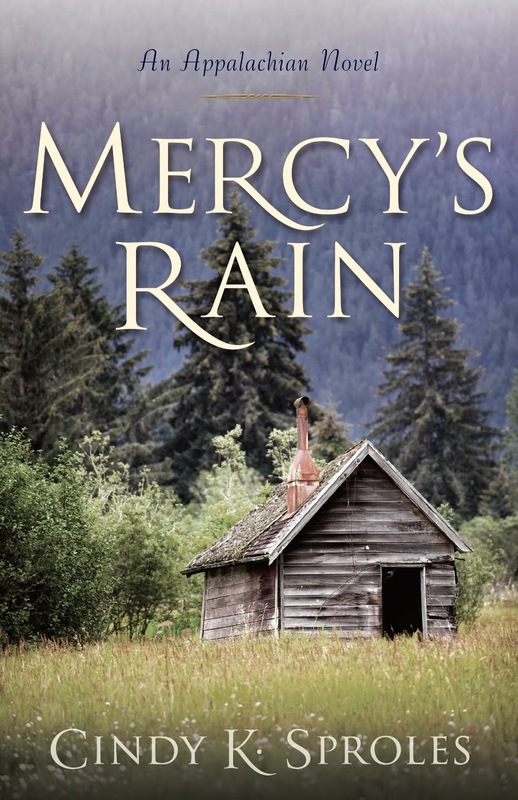 One commenter will win a paperback copy of Mercy's Rain. The two winners of last Thursday’s blog post for a copy of A Husband for Christmas by Gail Gaymer Martin are Deanne and Shelia. I’ll email you. Thanks all for commenting. Watch for more book giveaways. My sweet Southern historical romance novel Wait for Me is included in a ten-book eBook collection selling for just $0.99! From page-turning romantic suspense, humorous contemporary, and wholesome romance, you're bound to find something to curl up with in this collection. This collection is selling like crazy and is number one in all its categories on Amazon. You can’t go wrong for ten cents a book! Buy now at Amazon. An unforgettable story!! Sounds so good! Sounds like Mercy has quite a journey to share with us! Deanna, Patty, Ann, thanks for coming by and leaving your comments. This story sounds so good it pulled me right in!! I have not read anything by Cindy yet! Love a chance to win! I am a follower of this blog and i love it. 'Mercy's Rain' sounds like such an emotional story - my fave kind. Love the storyline, thanks for the giveaway opportunity!! Allie28, Diana, Bonnie, thanks all for stopping by and leaving your comment. I appreciate y'all following my blog! Ann, you're welcome. Thanks for commenting. That sounds like quite a book with a real message. I receive your emails. I love Cindy's writing. I used to get her devotions. I'd love to read this book. Mercy's Rain sounds so good. I would love to read it! Nancy, Sally, thanks for leaving your comments. I NEED BOTH OF YOUR EMAIL ADDRESSES TO ENTER YOU IN THE BOOK DRAWING. IF YOU WERE TO WIN, I'D NEED TO CONTACT YOU. I would love to know more about this one, Jo! Thank you for the giveaway! Melanie, Sonja, I appreciate you both following my blog! Thanks for commenting. The blog post draws you right in - I'd love to read this book. Oh my goodness, what a hard life Mercy has had! I would love to see how it all turns out! Thanks for the chance to win. Thanks for the chance to win Mercy's Rain! Susanlulu, Robin, Cheryl, glad you stopped by and left your comments. Sounds like a very gripping read. Heather, thanks for leaving your comment and for following my blog! Although it looks to start out grim, I enjoy seeing the hope and love achieved by the end. It really does look like a great book. trosado, thanks for coming by and leaving your comment.